Naturally delicious recipe that your dog will love. 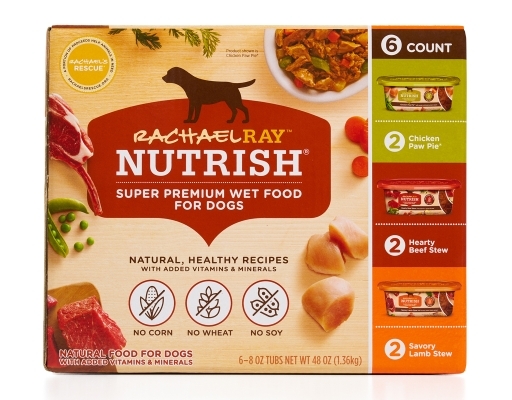 The first, natural wet food for dogs from Rachael Ray. Each delicious entrée is inspired by recipes from Rachael's kitchen and made with simple ingredients like tender meat and wholesome veggies. There's never any corn, wheat or soy and no artificial fillers or flavors — just essential vitamins and minerals for a nutritious, delicious food your dog will love. 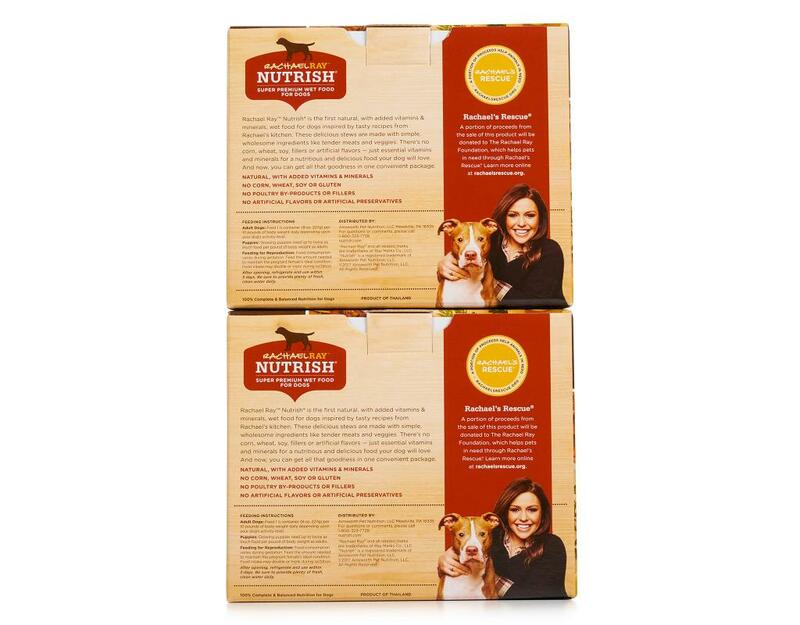 Natural, healthy recipe made with essential vitamins and minerals for 100% complete and balanced nutrition. No corn, wheat, soy or gluten. No artificial flavors or artificial preservatives. 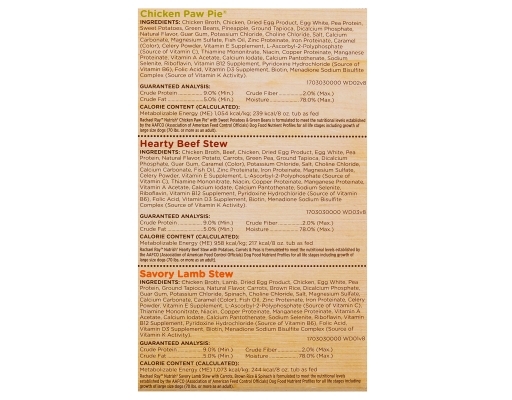 • 4x Chicken Paw Pie: With sweet potatoes & green beans. 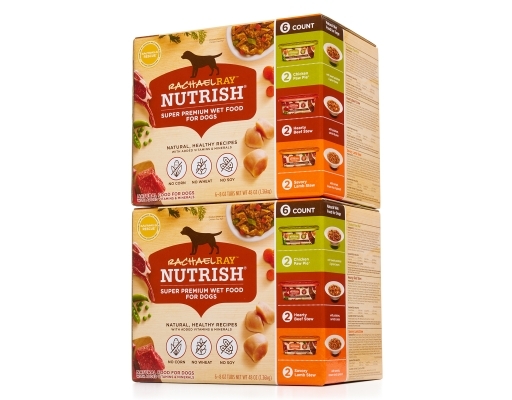 Rachael Ray Nutrish Chicken Paw Pie Recipe is made with juicy bites of chicken and a medley of green beans and sweet potatoes in a savory chicken gravy. 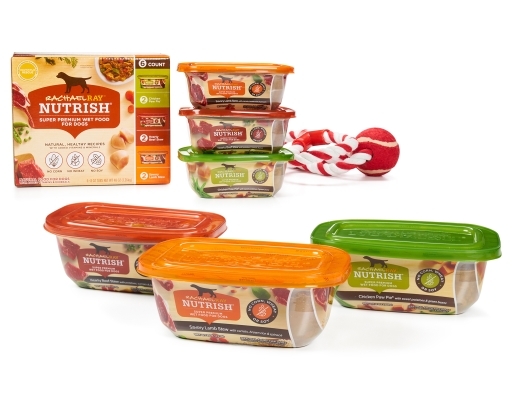 No poultry by-products or fillers. Grain free, no corn, wheat, or soy. • 4x Hearty Beef Stew: With potatoes, carrots & peas. Rachael Ray Nutrish Hearty Beef Stew Recipe is made with hearty chunks of beef plus garden vegetables like peas, carrots and potatoes, all simmered in a yummy homestyle beef gravy. 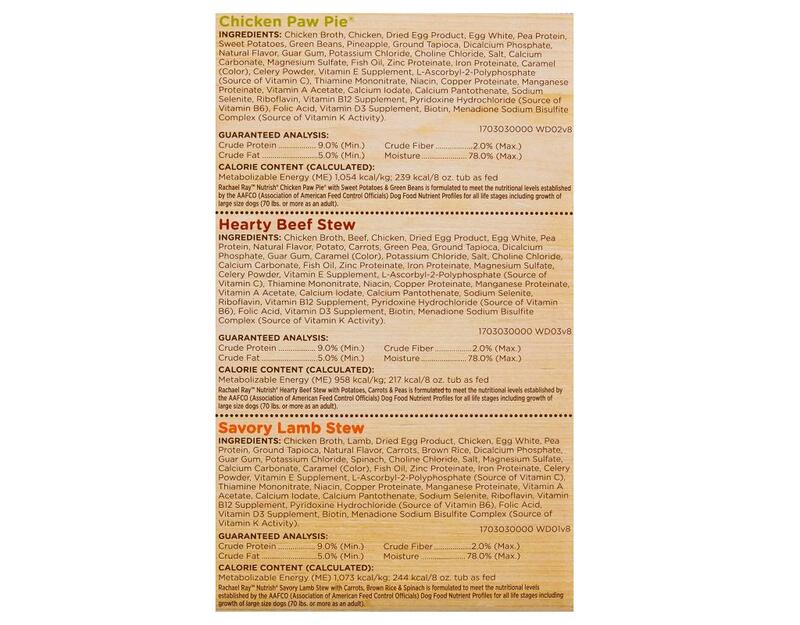 No meat by-products or fillers. Grain free, no corn, wheat, or soy. • 4x Savory Lamb Stew: With carrots, brown rice & spinach. 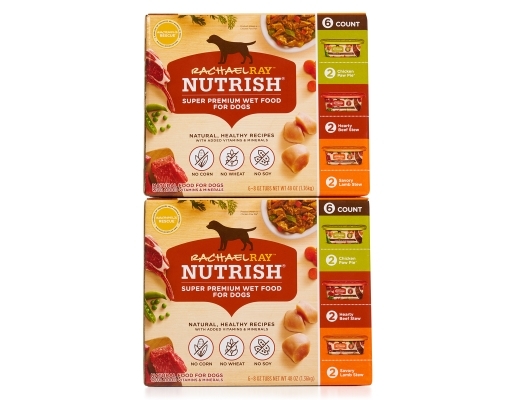 Rachael Ray Nutrish Savory Lamb Stew Recipe is made with tender morsels of lamb mixed with carrots, spinach and brown rice, which make for a great-tasting classic stew. 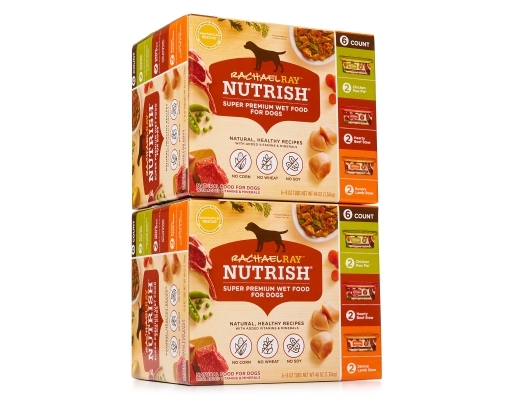 No meat by-products or fillers.